The Committee urges the NIAID, in coordination with CDC, to study the long-term effects on patients suffering from post-treatment Lyme disease syndrome, or ’chronic Lyme disease.’ Specifically, the Committee urges NIAID to evaluate the effectiveness of laboratory tests associated with the detection of Borrelia burgdorferi to diagnose the disease early, which can improve the treatment of patients suffering from chronic Lyme disease. Congress has stepped up efforts to improve the federal government’s response to the rapidly growing epidemic of Lyme disease. 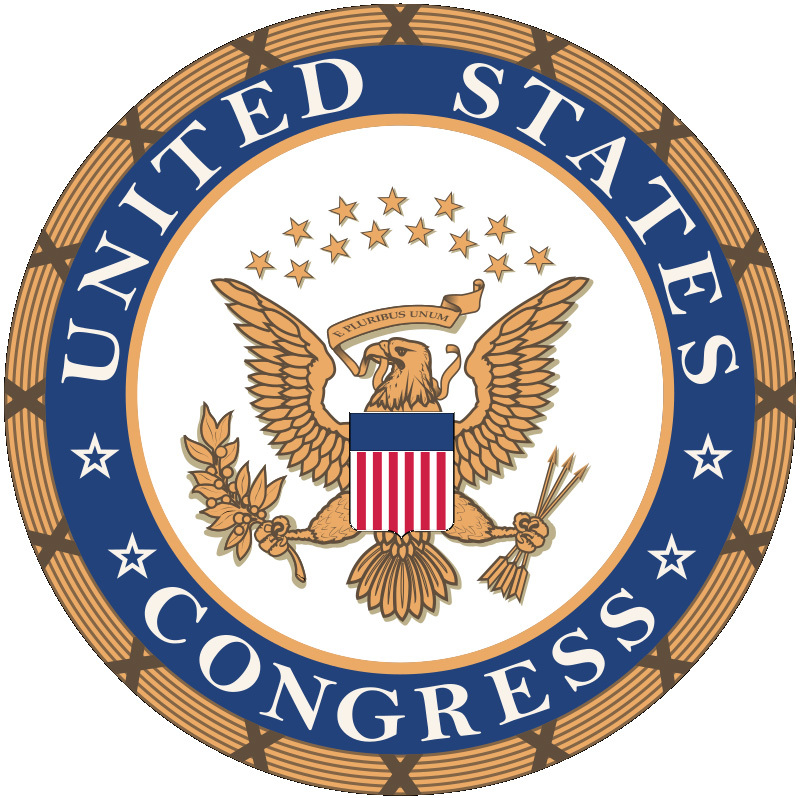 The FY 2018 Congressional Appropriations bill signed into law on March 23, 2018 was accompanied by House and Senate Appropriations Committee reports that include more than a dozen directives for the Centers for Disease Control and Prevention (CDC) and the National Institutes of Health (NIH) to improve their programs for surveillance, prevention, diagnosis, and treatment of Lyme disease. These directives also require CDC and NIH to submit detailed reports to help Congress gauge program effectiveness and determine future funding levels. In addition, CDC has been directed to establish performance indicators for Lyme disease and to justify funding disparities between Lyme disease and other less common vector-borne diseases, such as West Nile virus and Zika. Since Lyme disease was identified in 1975 by Dr. Allen Steere when he was investigating a cluster of cases of rheumatoid arthritis in children in Lyme, Connecticut, it has become the most common vector-borne disease in the United States with 380,690 new cases in 2015 alone at a cost of more than $4.2 billion. Lyme disease has been reported in all 50 U.S. states, and the number of high-risk counties has increased 320% over the past two decades. Lyme disease is called “The Great Imitator” because it can mimic many other diseases. It is common for patients with Lyme to be misdiagnosed with Myalgic Encephalomyelitis/Chronic Fatigue Syndrome (ME/CFS), Fibromyalgia, psychiatric illnesses, and neurodegenerative diseases such as Multiple Sclerosis, Parkinson’s, and Alzheimer’s. Undiagnosed, untreated, and inadequately treated Lyme disease patients represent an enormous social and economic burden with lifelong costs for unemployment, Medicaid, Medicare, disability, and welfare for people who can no longer work or manage everyday activities. Formidable obstacles have hampered the federal government’s response to the Lyme epidemic. Unreliable tests and lack of awareness among healthcare providers contribute to widespread misdiagnosis and lack of medically necessary treatment. Conflicts of interest and entrenched biases influence policy decisions. Lack of transparency and accountability make it difficult to assess agency performance. Compounding these problems is inadequate federal funding for prevention and research. While CDC and NIH consider Lyme a priority vector-borne disease, they don’t give it the same attention and resources as other priority vector-borne diseases, such as West Nile virus and Zika, which are far less common with a dramatically lower burden of disease. For example, NIH’s FY 2015 Lyme disease program funding was $24 million, or $63 per case. By contrast, funding for West Nile virus with 2,062 cases in 2015 was $40 million, or $19,627 per case. Unfortunately, CDC and NIH have fallen short in their mission to fight the Lyme epidemic. The number of cases continues to grow, the geographic range continues to expand, the CDC endorsed two-tier test is highly unreliable, CDC and NIH sanctioned treatment options fail up to 36% of the time, and no human vaccines are available. A key responsibility of Congress is to provide oversight of federal agencies to monitor performance and ensure that taxpayer money is used wisely. Yet federal agency performance does not always match congressional expectations. For example, CDC and NIH have done little to fulfill past appropriations directives that “encouraged” them to “include a broad range of scientific viewpoints in their Lyme disease planning and execution efforts.” Instead, they adopted a narrow view of Lyme disease promoted by a group of academic physicians with myriad conflicts of interest related to tests and vaccines. In December 2016, Congress addressed noncompliance by directing HHS to form the Tick-Borne Disease Working Group, which broadens input by including a diversity of scientific views as well as the voices of patients and representatives from key stakeholder organizations. To strengthen CDC and NIH Lyme disease programs in face of the burgeoning Lyme epidemic, the House and Senate Appropriations Committees issued a comprehensive set of directives for FY 2018 appropriations. House Report 115-244 and Senate Report 115-150 include directives to increase accountability, improve diagnostics, correct misuse of the case definition for Lyme disease, ensure better transparency, increase stakeholder involvement, improve surveillance and prevention, and expand research—including for chronic Lyme, which has not been officially recognized by CDC or NIH. Also included are directives that require CDC and NIH to submit reports to Congress for evaluation and monitoring. The Patient Centered Care Advocacy Group worked with other stakeholder organizations to develop a portion of the proposed report language, which was submitted to the House and Senate Appropriations Committees via letters from individual members of Congress. Committee staff reviewed the input and drafted the final language for approval. The Patient Centered Care Advocacy Group also submitted outside witness testimony to the Senate Appropriations Committee to express concerns about CDC’s management of the Lyme epidemic. Specific concerns included lack of accountability, lack of transparency, poor performance, and CDC’s failure to comply with prior Committee directives. Despite the fact that Lyme disease is the most common vector-borne disease and costs billions of dollars annually, CDC has no indicators by which to measure the performance of its Lyme disease program. In addition, the absence of appropriate performance indicators conflicts with federal laws regarding government accountability and performance, including the Government Performance Results Act (GPRA) of 1993 and the GPRA Modernization Act of 2010. Currently, the only performance indicator for preventing and controlling vector-borne diseases in general is the “cumulative number of tests performed worldwide to diagnose infections transmitted by mosquitoes, ticks, and fleas using CDC-produced reagents.” Yet the number of tests performed using CDC reagents not only is a poor measure of the agency’s effectiveness in preventing and controlling disease, it also represents a conflict of interest since various CDC employees hold patents on some of those reagents and receive more royalties when more tests are performed. Appropriate performance indicators will help Congress better understand the impacts of Lyme disease and other priority vector-borne diseases, as well as the effectiveness of agency programs for surveillance, prevention, and control. The resulting information will aid in future budget considerations. Most importantly, these indicators will improve health outcomes for patients impacted by this rapidly growing epidemic, thereby reducing the burden on our nation’s economy by reducing health care and disability costs. Both the House and Senate reports direct CDC and NIH to submit reports that will help Congress evaluate each agency’s Lyme disease program. These reports also will help Congress monitor compliance with appropriations directives. This report should show Congress the glaring disparity in resources between Lyme disease and other less common vector-borne diseases with far lower burdens of disease and economic impact. Senate Report 115-150 requests that NIH provide a detailed report on its program for Lyme disease. The report is to include a summary of efforts to advance more accurate tests including an analysis of obstacles hindering adoption of direct detection tests currently available or in the pipeline, an assessment of the current science on persistent infection, a summary of NIH research on prevention of Lyme and related tick-borne illnesses, information on the effectiveness of currently available prevention methods, a description of prevention methods that NIH plans to investigate further, and details on progress achieving NIH strategic objectives relevant to Lyme as well as plans to address any shortfalls in meeting goals. Collectively, these reports will help Congress better understand the impact of the tick-borne disease epidemic and better evaluate CDC’s and NIH’s performance. The poor accuracy of the CDC-sanctioned two-tier serology test for Lyme disease (ELISA and Western Blot) has been a point of contention for years. This test is an indirect assay that measures the immune response but does not confirm the presence of an infection. According to CDC, the two-tier test is inaccurate in the early stages of the disease and should not be relied upon for at least 6 weeks after a tick bite. CDC asserts that this test is highly accurate later in the disease, but a systematic meta-analysis of 20 years of published data showed a mean sensitivity of only 35.4% in the acute stage and 64.5% in the convalescent stage, with an overall sensitivity of only 59.5%. By comparison, the sensitivity for the HIV/AIDS antibody test is greater than 99%. Patients with Lyme who test negative remain undiagnosed and untreated. Untreated Lyme disease can cause neurological and cardiac damage and, occasionally, death. Rather than advance the development and use of direct detection tests that can confirm the presence of an infection, CDC continues to promote outdated serology. In addition to being highly unreliable, the two-tier test does not detect most strains and species of Borrelia that are known to cause disease. This further contributes to misdiagnosis and underreporting. Several next-generation direct detection tests for Lyme disease are either commercially available or in the pipeline for FDA clearance. These tests, which include urine antigen, nested PCR/16S rRNA sequencing, and RNA reverse transcription, are significantly more sensitive than the two-tier test and can confirm the presence of infection. They also work in the early stages of disease before antibodies have a chance to develop. Another problem related to the two-tier serology test is use of the CDC case definition for Lyme disease to interpret results, even though CDC’s official policy is that the case definition for Lyme disease is intended for surveillance only and should not be relied upon as the primary criteria for diagnosis. Despite this policy, the CDC case definition for Lyme disease is widely misused by physicians as a requirement for diagnosis and by insurance companies to deny coverage to patients with valid cases of Lyme. The continued and widespread misuse of CDC’s case definition results in large numbers of patients being misdiagnosed and denied medically necessary treatment. Many who do obtain treatment are refused insurance coverage and face financial hardship from out-of-pocket expenses. A directive from Senate Report 115-150 requests that CDC issue a report to Congress that addresses misuse of the Lyme disease case definition. The directive also requests an update on work being done to advance more sensitive tests and details of how funds for Lyme disease were spent in FY 2017. Intense controversy over Lyme disease has resulted in two competing standards of care that disagree on most aspects of the disease. Key issues are the existence of chronic Lyme disease (persistent infection following antibiotic treatment), the accuracy of the two-tier serology test, and the efficacy of long-term treatment. The mainstream view represented by the Infectious Diseases Society of America (IDSA) regards Lyme disease as difficult to catch and easy to cure with 2-4 weeks of antibiotics. The IDSA guidelines for treatment of Lyme disease maintain there is no credible evidence for chronic Lyme disease, and long-term treatment provides no benefit. For a patient to be diagnosed with Lyme, the IDSA guidelines require a positive result on the unreliable two-tier test, according to the narrow CDC case definition. The alternative view represented by the International Lyme and Associated Diseases Society (ILADS) maintains that Lyme disease is a serious national medical problem of epidemic proportion that needs to be researched, diagnosed, and treated aggressively. The ILADS guidelines recognize chronic Lyme and recommend that the duration of therapy be guided by clinical response rather than by an arbitrary treatment course. Hundreds of peer-reviewed articles support the ILADS position. Culture-confirmed cases of persistent infection in humans after short-term antibiotic treatment show that chronic Lyme disease is a very real and widespread problem. Unfortunately, CDC and NIH ignore the growing evidence and continue to endorse the IDSA viewpoint that Lyme disease is difficult to get and easy to treat, and they continue to promote the IDSA guidelines, which require a positive result on the unreliable two-tier test for patient diagnosis. In an encouraging move, in December 2017, CDC removed references to the IDSA guidelines from its website, although the IDSA guidelines still appear in CDC’s published materials. CDC’s removal of references to the IDSA guidelines from its website took place after a group of patients filed a federal antitrust and Racketeer Influenced and Corrupt Organizations Act (RICO) lawsuit in November 2017 against IDSA, eight health insurance companies, and seven IDSA guidelines panelists. The suit alleges that the defendants conspired to develop treatment guidelines that allowed the insurers to deny coverage for long-term antibiotic treatment for patients with chronic Lyme disease. In testimony before the Connecticut Department of Public Health and the Connecticut Attorney General’s Office in 2004, Dr. Paul Mead, chief of epidemiology and surveillance for CDC’s Lyme disease program, outlined a strategy to address the rapidly growing epidemic of Lyme disease. Dr. Mead’s testimony included plans to improve awareness, prevention, diagnostics and treatment. By all accounts CDC has failed in these key areas. Lyme disease continues to rapidly spread, the number of cases reported annually continues to grow, and associated costs continue to rise. Even CDC’s pledge to develop a safe, effective vaccine has not been fulfilled. The only vaccine that made it to market, LYMErix™ in 1998, was withdrawn after a flood of lawsuits were filed due to adverse events. Improving surveillance will require CDC to acknowledge that Lyme disease is increasingly common in non-endemic areas. CDC must also abandon its narrow view of Lyme as an acute disease with limited geographic distribution and broaden its definition of Lyme to include all strains and species of Borrelia known to cause disease. In addition to significant increases in research funding, more research is needed that provides tangible, near-term benefits to patients, and chronic Lyme needs to be better understood. In addition, House Report 115-244 includes a directive encouraging NIH to intensify research on Lyme and other tick-borne diseases, including the mechanisms of persistent infection (chronic Lyme disease) and potential treatment protocols. Lyme disease is known to cause a wide range of psychiatric manifestations. Neurological Lyme disease can mimic or trigger depression, agitation, anxiety, mania, panic disorder, and many other common psychiatric illnesses. Other tick-borne diseases, such as Bartonella, have also been reported to cause neurological and neurocognitive dysfunction, as well as causing agitation, panic disorder, and treatment-resistant depression. According to Senate Report 115-150, it is “plausible that a certain number of severe psychiatric presentations are due to underlying infection" The report includes a directive urging the National Institute of Mental Health (NIMH) to review published literature on links between tick-borne diseases and psychiatric illnesses and report the results in NIH’s FY 2019 Congressional Justification. The literature review and report to Congress should help elevate awareness and guide further research. Congressional committee reports for appropriations bills from FY 1998 to FY 2017 include more than 90 directives for Lyme disease and other tick-borne diseases. Unfortunately, many of these directives have not been fulfilled, and there has been minimal oversight to ensure compliance. Now that congressional oversight has been strengthened, thanks in large part to efforts by stakeholder organizations, excuses for noncompliance will no longer work. The Patient Centered Care Advocacy Group advocates for improved prevention, diagnostics, treatments, and access to care for chronically ill patients who are underserved and marginalized by the medical establishment.